Survivors* have a complicated relationship to the Mad in America blog site. Many of us blog there and the subject matter is of vital interest as it concerns our lived experience, but the site is not survivor-controlled and it is not meant to be accountable to us. Rather the stated intention is to create a broadly inclusive conversation among people who question practices of the existing mental health system from the general direction of questioning the medical model and questioning coercion. If MIA wants to try and resolve issues raised by survivors about how the site functions, that is a great conversation to have. But there is something bigger that the criticisms of MIA by survivors point to, and that I realized when looking into current issues in feminism. Other social justice movements have a whole world of blogs that network to each other, repost each others’ blogs, do all sorts of things that I don’t even understand yet technologically. We don’t have that. Individual survivors have blogs and share them on Facebook, and many of the movement’s most visible advocates end up writing on MIA and also sharing on Facebook. But we aren’t networking blogs and we aren’t creating the kind of vibrant and robust blog community that we could have. There is no reason not to – we have the creativity, we have the interest, it doesn’t cost any money, and we can help each other to understand the technology. I think also, we may not have appreciated the potential power of networked blogs because when we do our own single blogs we don’t always get as much response as we want. And so we get discouraged or think we are just preaching to the choir. Networking, commenting on each others’ blogs and so on, could create a public conversation that survivors are controlling and that invites others into our spaces, on our terms. It would be decentralized – which is great because anyone can start up a blog and there don’t have to be gatekeepers. We can disagree with each other as much as we want and don’t have to control dissent. But people of like minds could link to each others’ blogs, comment on them, and magnify the impact that way. It doesn’t substitute for any other work that we have to do – getting op eds in regular media, creating other media of our own for advocacy and news purposes, etc. But blogging is a democratic endeavor in the sense that it is really open to everyone and people can develop their voices and their skills, and try out ideas. So I’ll leave us with that, as a start. Some of us are looking into options on different hosting sites and how to link up with like minded others, survivors who are interested can leave a comment here and I’ll try to get back to you and share any resources or approaches we’re coming up with. * Survivors means people who have experienced psychiatric abuse or “othering” as a person who is being labeled by others as crazy or mentally ill. (Thanks to Sarah Knutson for this concept of “othering” as not necessarily being psychiatric abuse, but that is part of who I include when I think of survivors.) People use the term “psychiatric survivors” and that is grammatically weird to me, I can say survivors of psychiatry but shorthand I’ll say survivors here. I haven’t posted to my blog in a while, but I just looked over it, and it’s very relevant! Thanks Zach! I checked out your blog. Where did you add me/Tina? I will look again. 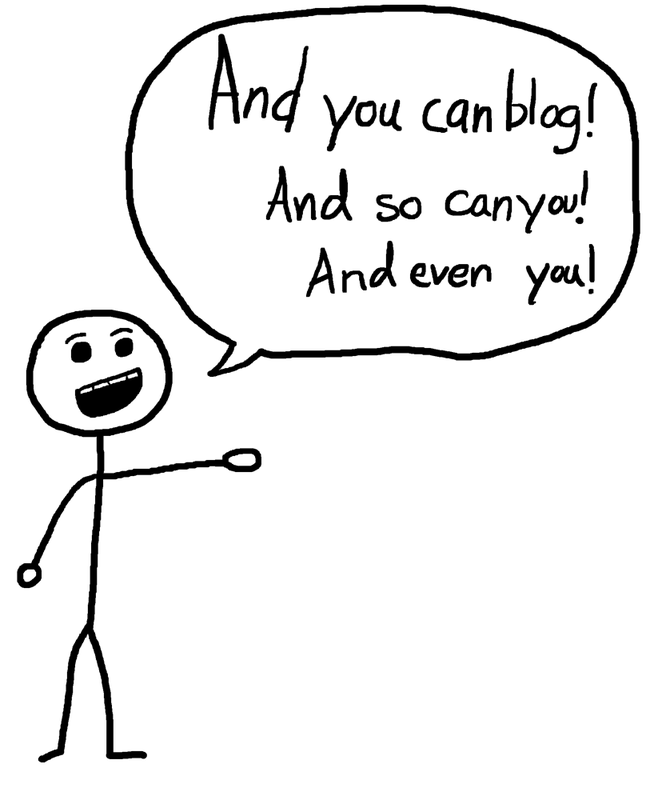 Btw your blog looks awesome! Well, I just chose a new (free) theme, and the only place to add links was at the bottom. So if you look at the bottom of the blog below the entries, you will see my “blogroll”. You’re the only person on it currently. Thanks. If I change themes, I can put it closer to the top. I haven’t put too much effort into my blog setting overall. Cool, thanks. I will need to figure out how to add a blogroll or something similar to this site. I read a lot of your entries; they were interesting to me. Are you going to start blogging again? The one about the meetup was fascinating. Well, I’ve been trying to write a book for a while. I write lots of words, but I haven’t published any of them recently. I just decided that writing a book would have a little more “umph” than writing my blog, which felt vague and unfocused. But really I should just publish one chapter of my book at a time on my blog, to give people something to read and also help build up an audience for the book if it ever comes out as a whole. Maybe I will. Thanks for reading it. It makes me feel good to know that people read it. That’s a good idea. I’ve been working on compiling a lot of my writings into a book as well. I haven’t started the blogroll yet but did share your blog with my friend who said “This blog is very rational and insightful about interpersonal stuff, thanks for sharing”. I would definitely keep blogging. Did the blogroll plugin you used have a name or how did you find it? It was in the list of widgets available on the wordpress dashboard. ( yoursite.com/wp-admin ) Under the heading Links, I added you. Then in the widgets I found the thing that lists those links. Then I renamed the widget Blogroll. I had to search google to figure out how to do it.